This is a beautiful home with all of the amenities of home. Monika is very hospitable and will ensure that your stay is comfortable. She is very helpful. We did not stay long enough to enjoy everything around Kleinarl. We would definitely return and not hesitate to stay here again. Thank you Monika! Our week's stay at Monika's property was, without a doubt, one of the best holidays we've ever had. There is nothing more that we could have asked for - the apartment was fabulous, both inside and out, the views and surroundings were breath-takingly beautiful, and the village and region provided everything we needed for a relaxing, happy and most memorable holiday. We could easily have spent the whole week simply exploring the area on foot, as there are marvellous walks right from the doorstep in every direction, and the village of Kleinarl provides a small but very nice selection of places to eat, drink coffee and buy groceries. We hired a car though and explored further afield, and every day brought new adventures that exceeded our expectations. We would sum this break up as the most relaxing, beautiful, tranquil and happy holiday we have ever had as a family, largely thanks to Monika and her hospitality, warm welcome and attention to detail. We would not hesitate to recommend this property to other families, and we will definitely be returning. Graet time at Mira monti ! very spacious new appartment . beautifuli dacorated , well equiped kitchen .we stayed there for 5 night at the bigger apartment - 2 couples the apartment has 2 double bedrooms with 2 showers. brend new with new modern furniturse (exacly as you see in the photos) , large bath rooms . 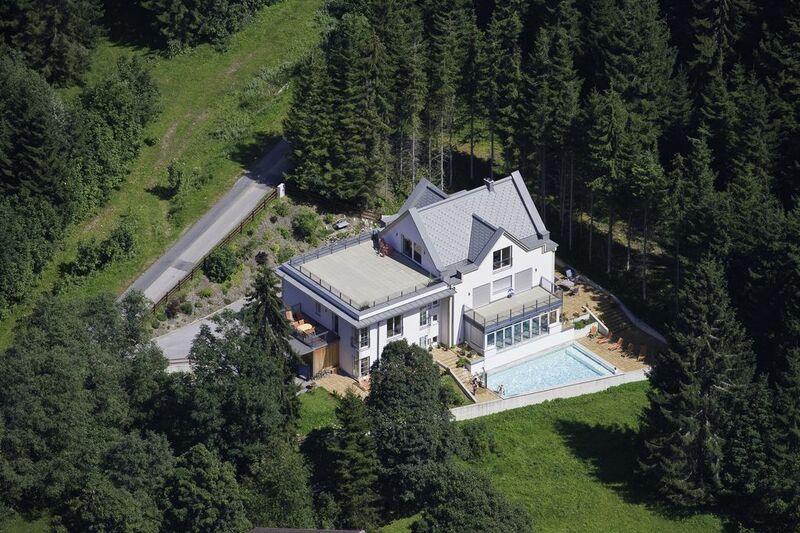 good location in the middle of Salzburg region. the supermarket within a walking distance. a very worm wellcome from Monika . the only downside - there is no wifi . A great review and we are always pleased again confirms our line. You were wonderful guests and are always welcome at " Mira Monti ". The Wifi is being installed and will be available starting this summer for all our guests free of charge. Best wishes to you and good luck in all your ways from Monika, Tobias and Randy. Tolle ruhige FeWo, mit super netten Vermietern! Sehr geschmackvoll eingerichtet! Schöner beheizter Pool. So muss Urlaub sein !!! wir waren schon das zweite mal im Mira Monti......und werden wieder kommen. Einfach schön , die Wohnung: sehr ruhig, sauber, geschmackvoll eingerichtet. Der Pool: sauber und groß. Es war wiedermal ein gelungener Urlaub. Im Appartementpreis inkludiert : ++ täglich freier Eintritt in die Wasserwelt Wagrain während der Öffnungszeiten ++ Salzburger Sportwelt Card ++ Ski- und Skischuhdepot direkt bei der Talstation der Kleinarler Bergbahnen ( Wintersaison ) Orttaxe von 2,05 € / Nacht + Person über 14,9 Jahren wird am Tag der Abreise in bar eingehoben.